BBCL Auracity in East Tambaram, Chennai South by BBCL Builders is a residential project. BBCL Auracity offers facilities such as Gymnasium. 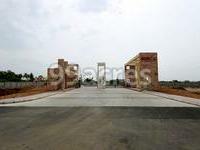 It also has amenities like Swimming pool, Basketball court, Jogging track and Lawn tennis court. Bank loan approved from HDFC home loans, ICICI, State Bank of India, Punjab National Bank, IDBI Bank Ltd., AXIS Bank LTD., LIC Housing Finance Ltd., Tata Capital, PNB Housing Finance Limited and Dewan Housing Finance Corporation Limited (DHFL). The project is spread over a total area of 52.5 acres of land. An accommodation of 320 units has been provided. BBCL Auracity brochure is also available for easy reference. Where is BBCL Auracity located? 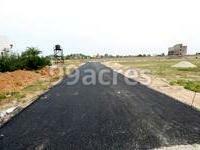 The project is located in East Tambaram, Chennai South. How much is the actual area of BBCL Auracity?The area of the project is 52.5 Acres. How many units are available in BBCL Auracity?The project has a total of 320 units. Does BBCL Auracity have gym? Yes the project has a gym. Which banks are providing loan facility for BBCL Auracity? HDFC home loans, ICICI and 8 more provide loans for this project. Is BBCL Auracity vastu compatible? The project is not compatible with Vastu. Sidewalks are separated from roads to ensure safety of pedestrians, and are designed with access ramps, table top crossings and smooth gradients to ensure accessible and user friendly. LED Streetlights on all streets and main roads. Entirely underground, the electricity system has been engineered to be effective and close to invisible. Ground transformers are aesthetic and unobtrusive. Feeder Pillars camouflaged with landscaping further distributive power to each site. This system enables an obstruction free environment. Buried under the ground, and made of designed leak proof pipes. Inspection chambers provided at regular intervals. The sewer lines are connected to an exclusive STP that processes and treats effluents before discharging. including IGBC green homes certification for its projects. BBCL Navarathina, BBCL Stanburry, BBCL Vajra from Indian Green Building Council; to name a few. They have undertaken many CSR initiatives to contribute back to the society. Kindly enlighten about the Plug and Play facilities. Hi, How much per sq? Please send me vacant Plot details to @.